NEWS of the latest hatching of a white-tailed eagle near Mountshannon has been greeted with excitement locally. The white-tailed eagle pair, Caimin and Saoirse, have successfully hatched on an island close to Mountshannon for the third year in-a-row. In fact, white-tailed eagles have successfully hatched chicks across four counties in Ireland. Eight pairs of white-tailed eagles have nested and laid eggs, with five nests successfully hatching chicks in Clare, Cork, Galway and Kerry. The pair of eagles near Mountshannon created history in 2013 when they reared the first chicks to fly from a nest in Ireland in more than 100 years. The pair also reared the only chick to successfully fledge from a nest in 2014. Hopes are high that the five successful pairs will successfully raise chicks that will go on to form the basis of a viable population in Ireland. This would potentially be the first white-tailed eagle chicks to fledge successfully in Kerry, Cork and Galway. They are the latest chicks of the high-profile reintroduction programme which began in 2007 with the release of 100 young Norwegian eagles in Killarney National Park as part of the White-tailed Eagle Reintroduction Programme, managed by the Golden Eagle Trust in partnership with the National Parks and Wildlife Service. 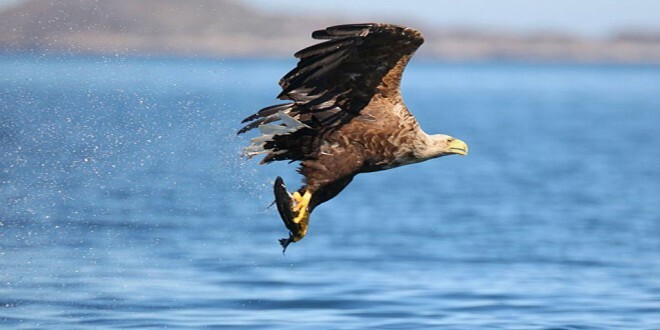 “We are delighted that white-tailed eagles are now nesting and hatching chicks successfully for the first time across four counties,” said Dr Allan Mee, project manager for the Golden Eagle Trust. He said the eagles near Mountshannon had benefited from the support of the local community, which in turn had realised a tourism spin-off with 10,000 visitors to the local Bird Information and Viewing Point between July and September 2014. “We would ask everyone to respect all our wildlife and give these magnificent birds a chance to nest and their young to survive to breed in the future,” he said. Vera O’Rourke of the Mountshannon Eagle Group said the latest hatching is great news for the whole Lough Derg region. “We ask that people keep their distance from the nesting island to give these magnificent birds of prey every chance to rear their chicks. You don’t have to go out on the lake to view the eagles. A specially constructed Bird Viewing and Information Point (BVIP) supplied by the Clare County Council is opened at Mountshannon Harbour from where people can view the eagles through telescopes that are in place within the unit. The BVIP is opened and run daily by information assistants from whom visitors will get up-to-the-minute information on the activities of the eagles,” she said. Chairman of Mountshannon Community Council, John Kavanagh said they are delighted that this pair of eagles has made its home near Mountshannon again. “Everything has gone to plan for the pair again this year, having hatched a single chick. 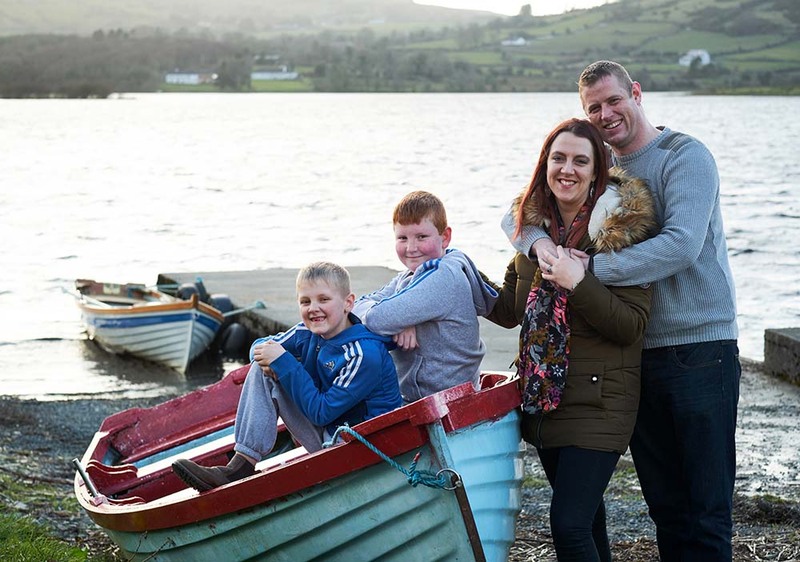 The eagles have become a focal point for the community and have attracted visitors from all over Ireland and beyond. “Thanks to the vital support of Clare County Council, who have again provided the Bird Information and Viewing Point on the pier, we are able to welcome eagle lovers to Mountshannon. Last year saw almost 10,000 people visit the site to see the nesting pair between July and September, so it’s clear people are hearing about the birds and coming to Mountshannon to see them,” he said.